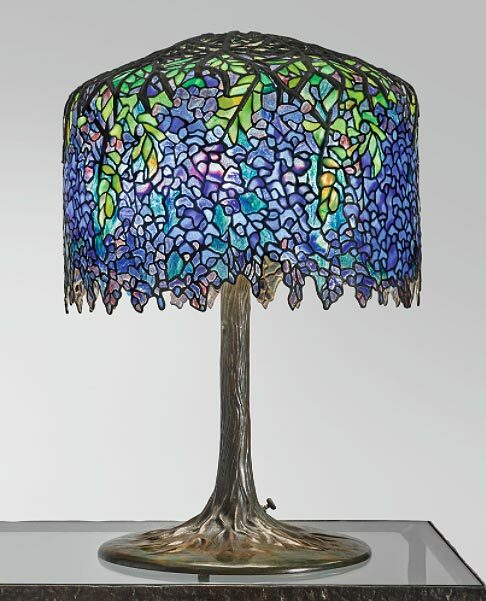 Westport Auction, Westport, CT, held a Tiffany Lighting and more! sale on March 25, 2018. The sale was mostly property from the estate of the Robinson Brothers, Arthur & Joe, of Harrison, NY. 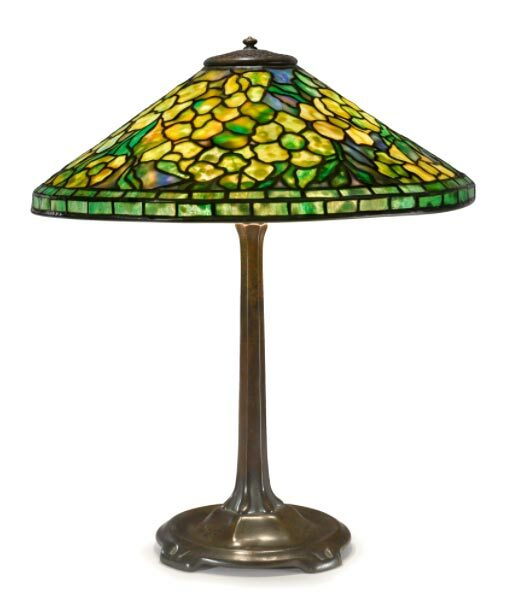 They both dealt in Tiffany Studios’ collections, as well as items removed from Laurelton Hall. 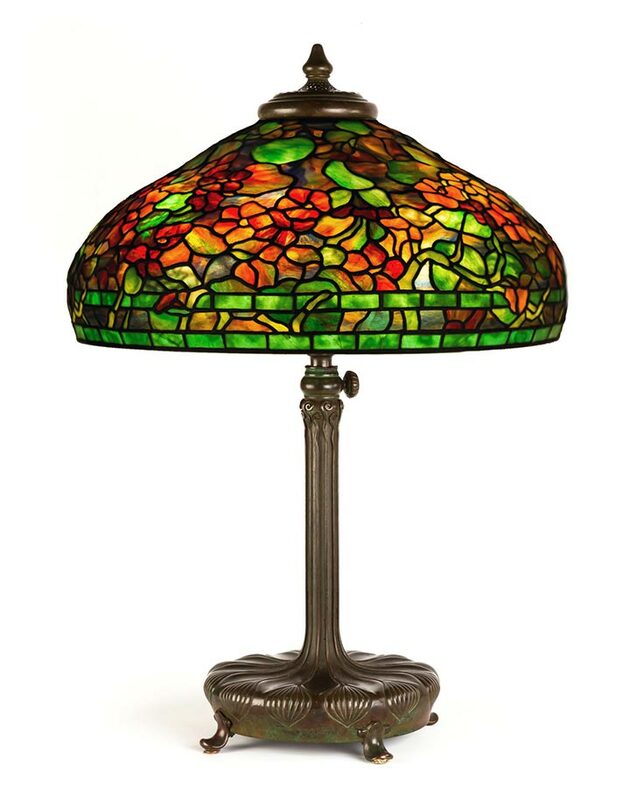 The sale included Tiffany shades, parts, pieces and lamps, as well as a nice collection of Steuben and Quezal shades. 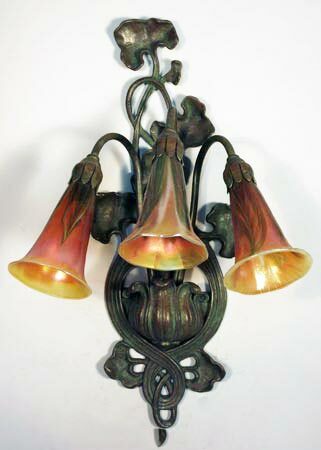 The top lot of the sale was #23, a Moorish chandelier with lily shades. 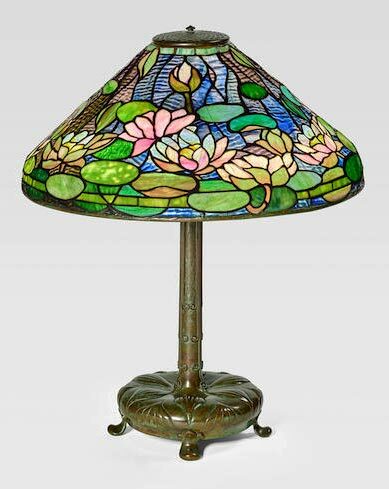 Even though the lily shades were reproduction, it sold within its pre-sale estimate of $10,000 – $30,000, realizing $21,600, including 20% buyer’s premium. 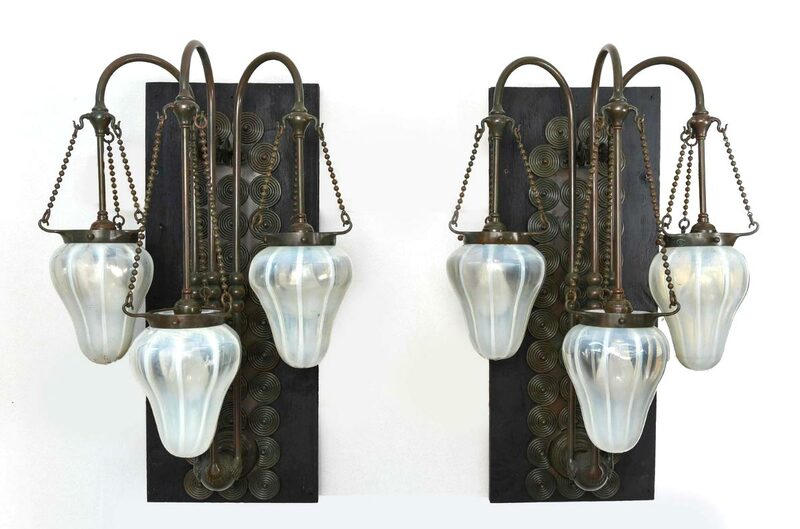 The second highest result was for lot #11, a pair of 3-light wall sconces. 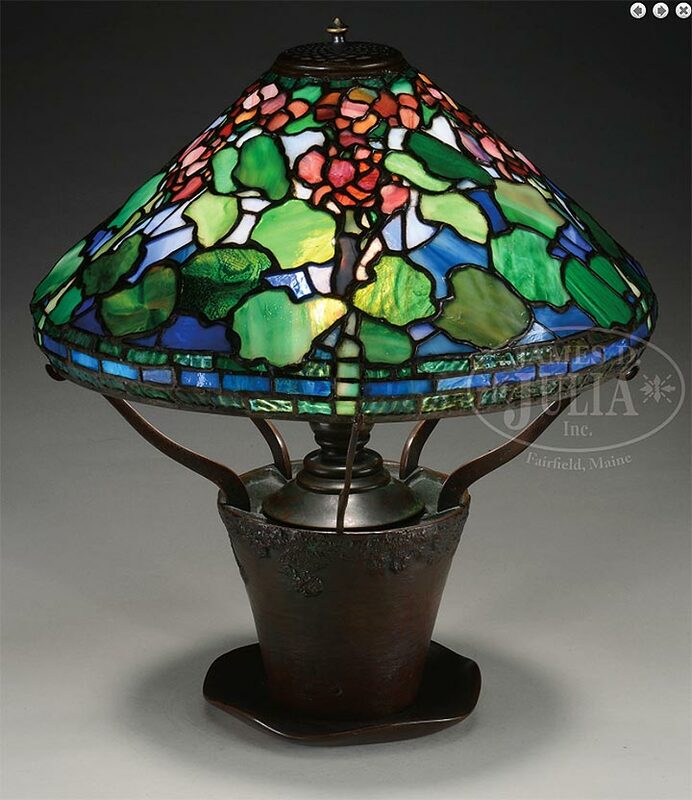 Supposedly authentic Tiffany Studios, they were not, in my opinion, nor in the opinions of two other experts. Caveat emptor. If you buy from auction, you take your life in your own hands. 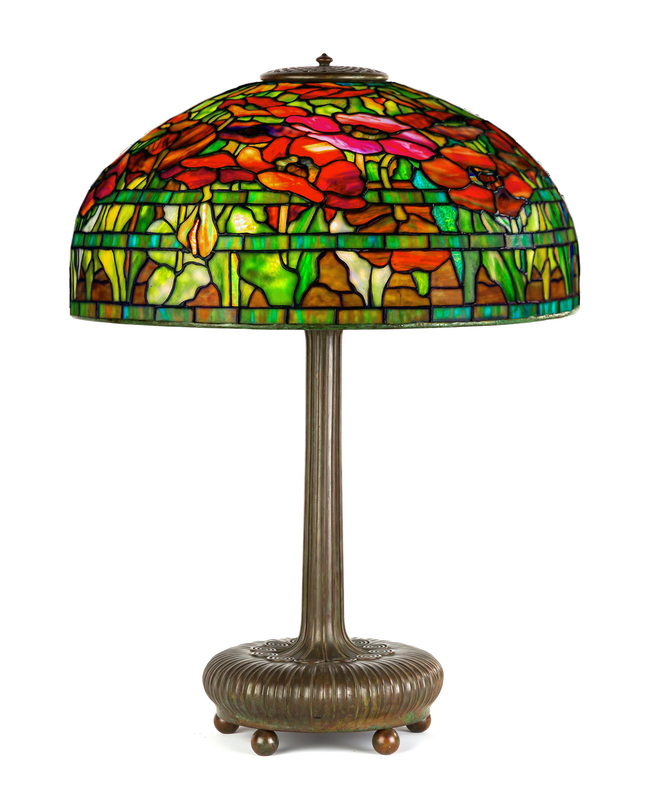 They sold for $20,400, including buyer’s premium, against a pre-sale estimate of $8,000 – $12,000. It was one of several reproduction lots in the auction. 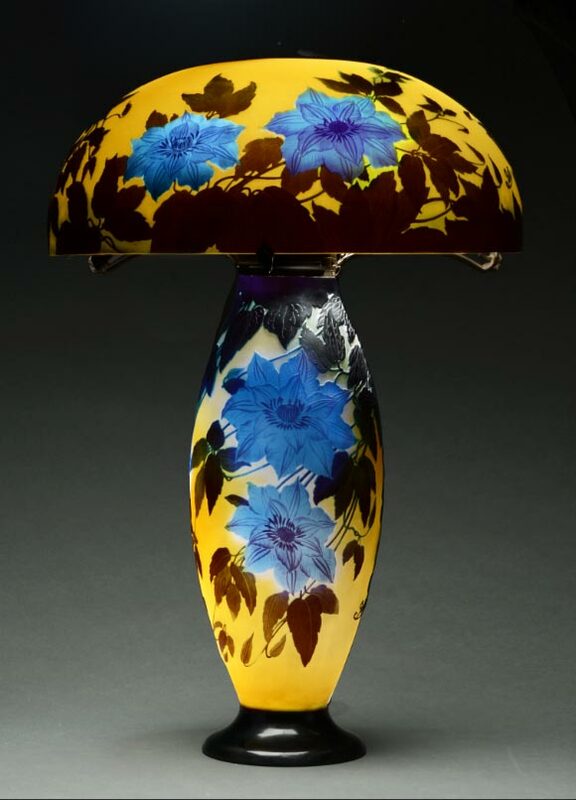 Some of the art glass shades in the auction were quite rare and desirable, including 12 red decorated Quezal shades that were sold in three lots. It’s difficult to find even one red decorated shade, so a dozen in one sale is quite cool. Lot #136 included six of them. They sold for $9,000, including buyer’s premium, against a pre-sale estimate of $1,200 – $1,800. 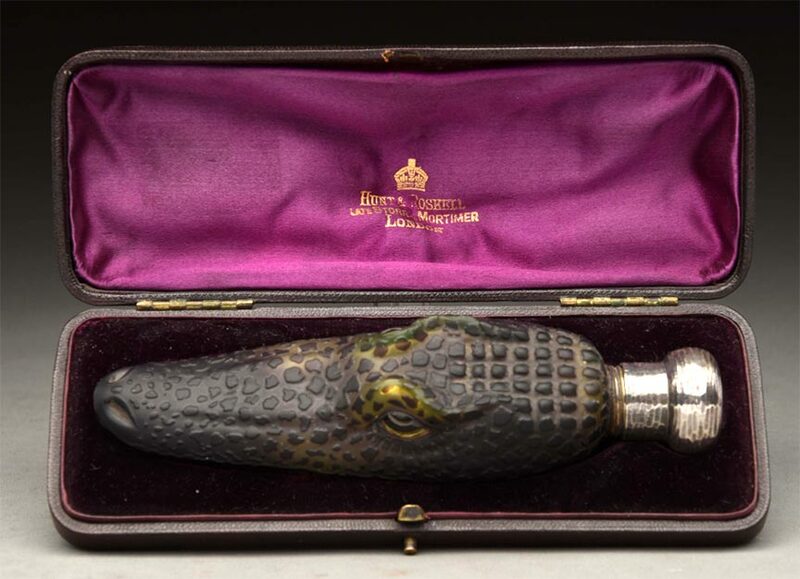 I recently tried to buy a couple of nice items at auction. I hoped they would fall through the cracks so I could buy them for resale. But alas, they did not. They sold for retail prices, so I wasn’t the buyer. 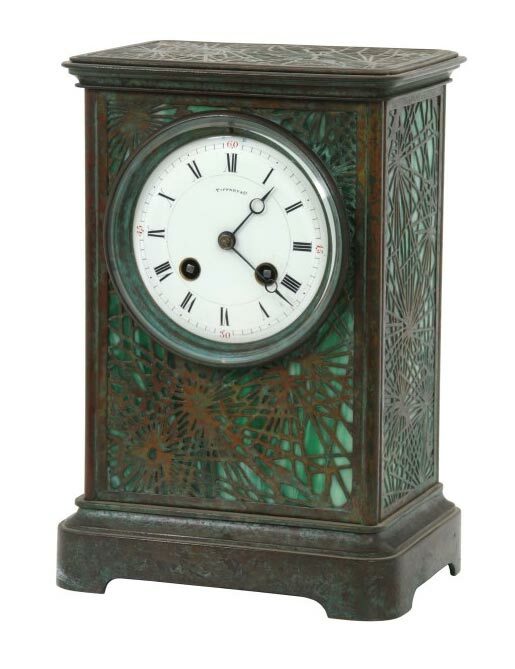 The first item was a very nice Tiffany Studios clock in the Pine Needle pattern. 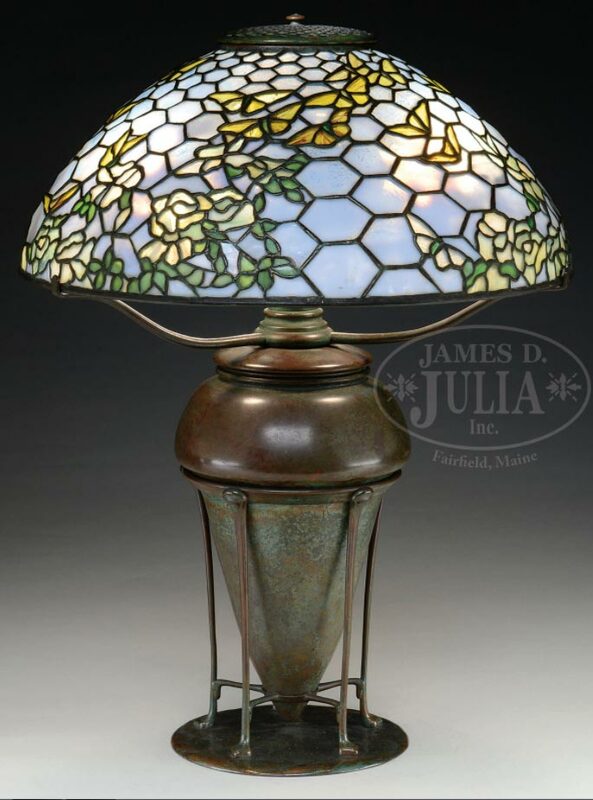 It sold at Fontaine Auction Gallery’s Antiques & Fine Art auction in Pittsfield, Massachusetts on March 24, 2018 as lot #2. Against a low estimate, it realized $6,655, including buyer’s premium. That’s a fine price for a retail buyer, but not a dealer, so I wasn’t the buyer. For the complete results of Fontaine’s sale, click here. 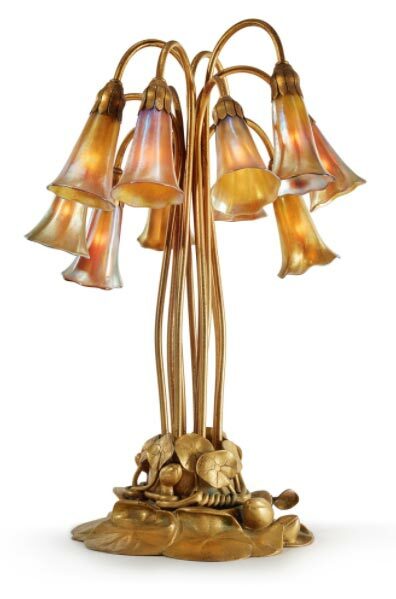 The second item sold as lot #221 in Bonham’s Elegant Home sale in Los Angeles on March 26, 2018. 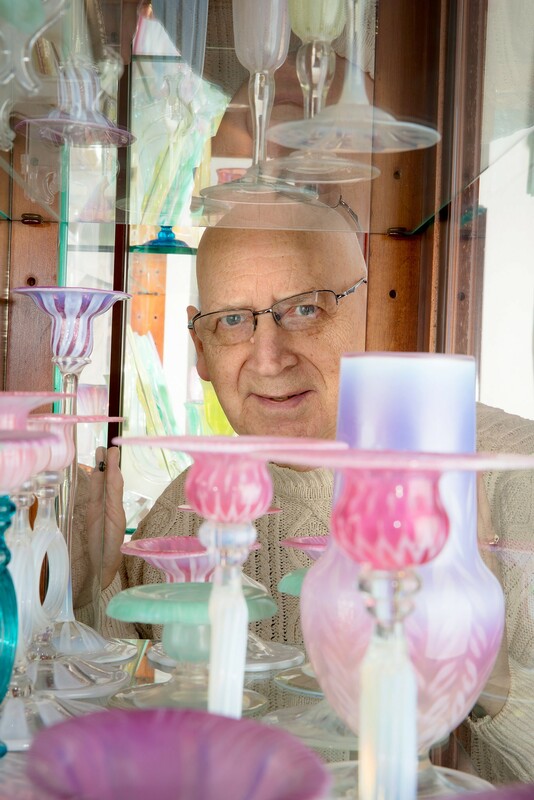 It was a wonderful original Quezal chandelier with nine matching shades. I’ve seen a similar, smaller model before, in the form of a wall sconce with lily shades, but never the matching chandelier. 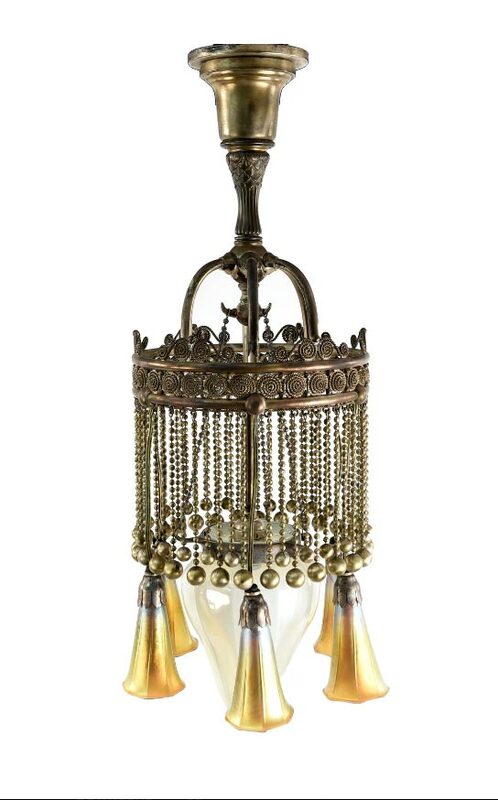 Bonham’s lot was an original mashup of four sconces made into one huge chandelier. How cool is that! It sold for $7,500, including buyer’s premium, against a very low estimate of $1,000 – $1,500. Again, the price was just fine for a retail buyer, but not a dealer, so I didn’t buy it. 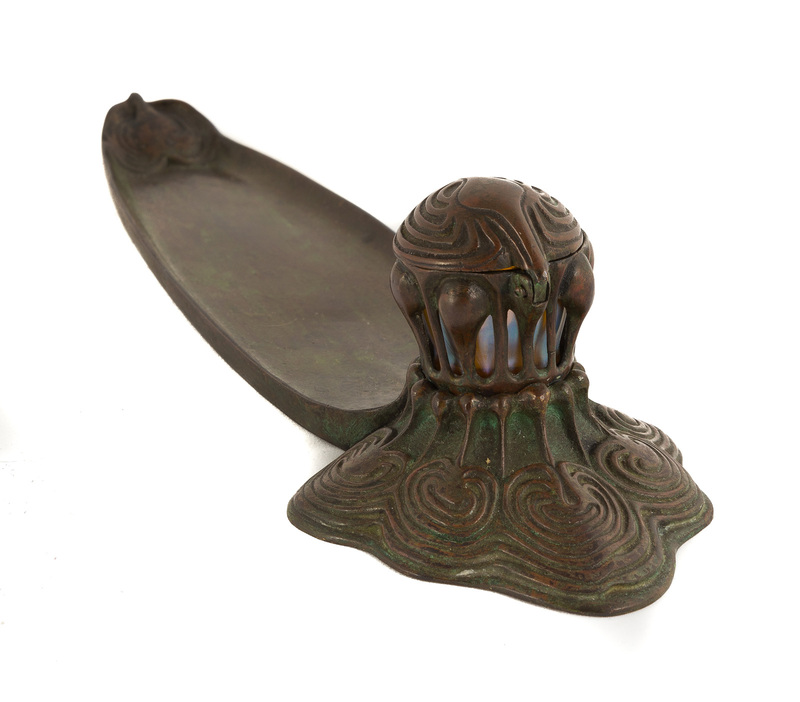 For the complete results of Bonham’s sale, click here. 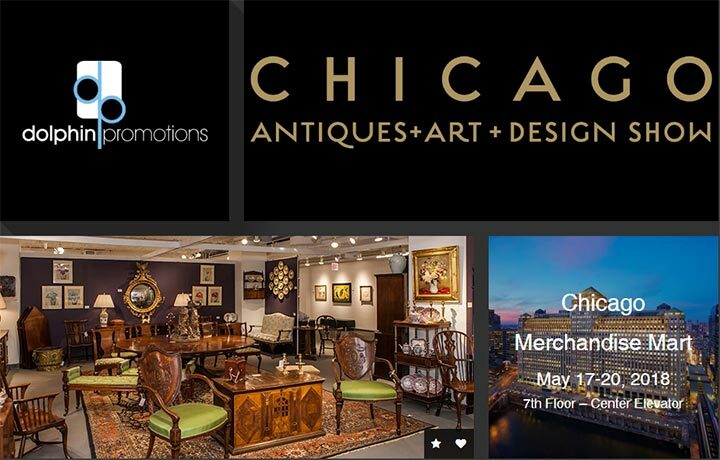 Cottone Auctions held a Fine Art, Antiques & Clocks on Mar 24, 2018. 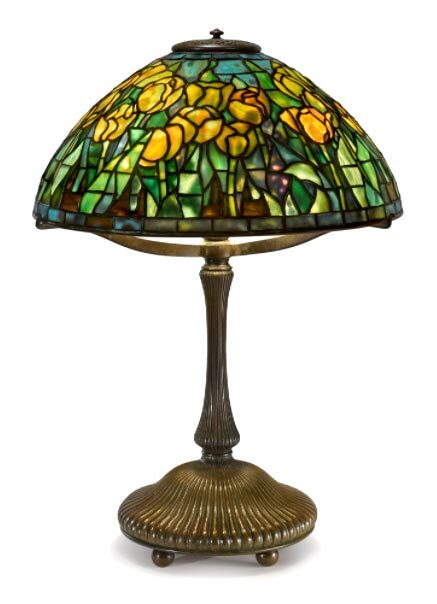 Included in the sale was a nice selection of Tiffany Studios leaded lamps and objects. 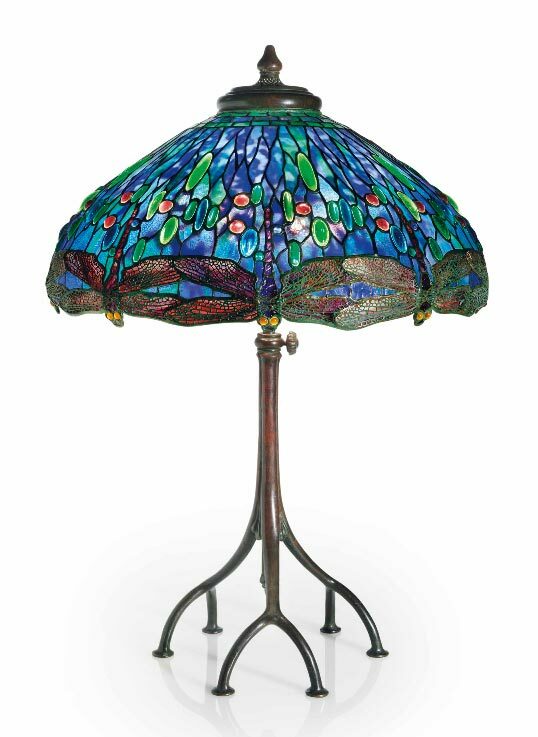 The top lot of the Tiffany Studios group was #330, a Bamboo floor lamp. It sold above its estimated range of $100,000 – $150,000, realizing $241,900, including buyer’s premium. 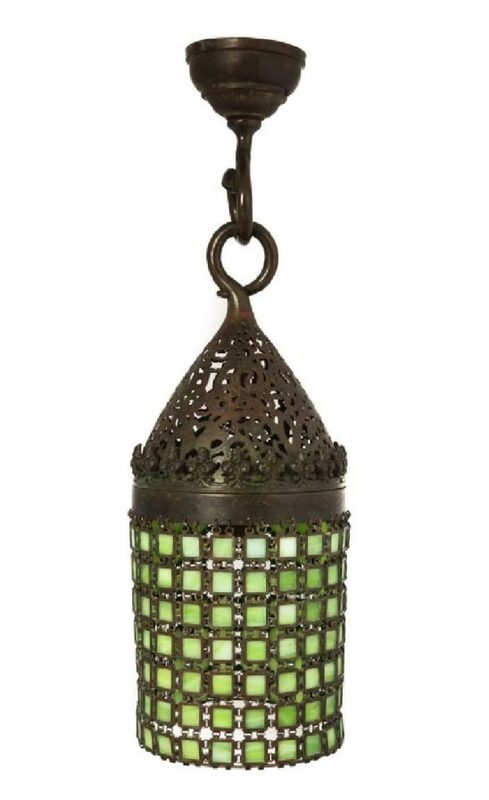 Lot #331 was a rare and interesting Tiffany Studios Moorish hall lantern with chain mail decoration. It sold well above its estimate of $7,000 – $10,000, realizing $23,010, including buyer’s premium. 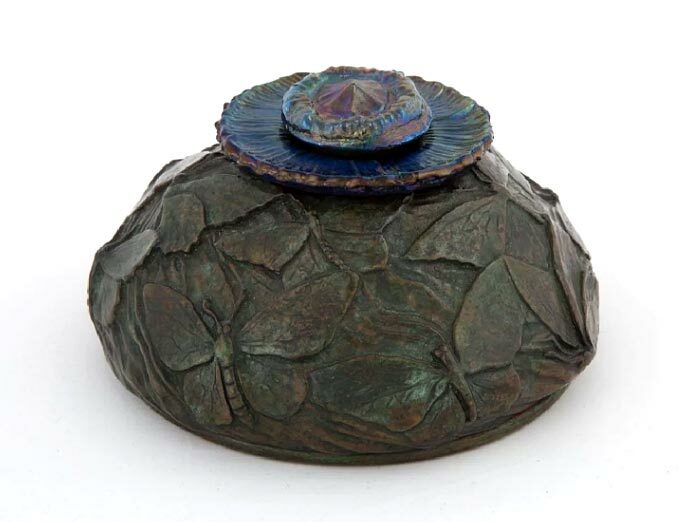 The top result for Tiffany Studios objects was lot #339, a rare Tiffany Studios Butterfly inkwell, with an original iridescent blue Favrile insert and cap. It also sold well above its estimate of $7,000 – $10,000, realizing $18,500, including buyer’s premium. For the complete results of the sale, click here. You will have to enter your email address to see the prices realized. 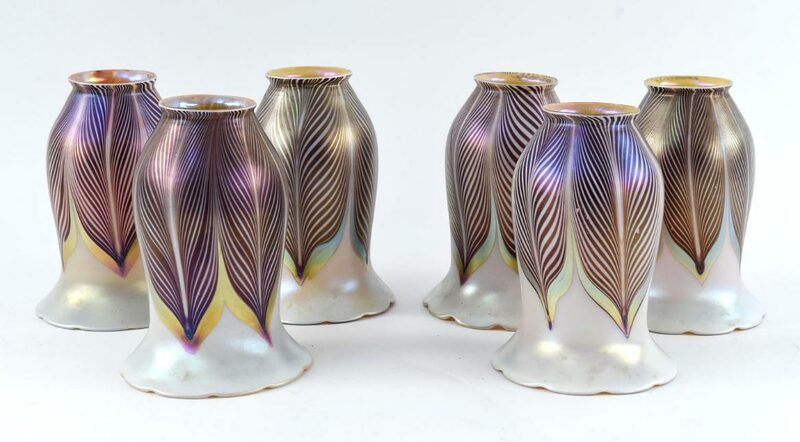 Rago Auctions, Lambertville, NJ, held an Early 20th Century Design sale on January 20, 2018, with mixed results. A few items did very well, but many brought less than stellar prices. Personally I was the beneficiary, so I was able to buy a number of items for resale. 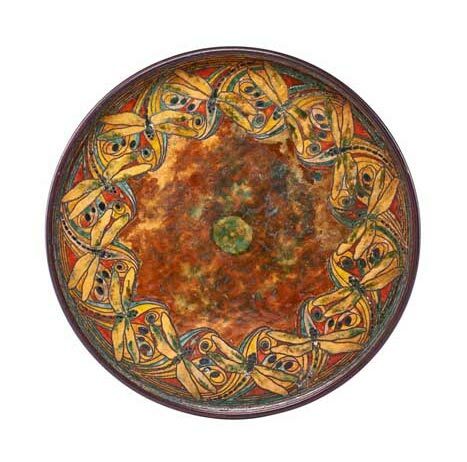 One item I knew would do very well was a large, 14¾” diameter, Tiffany Studios’ enamel on copper tray with dragonfly decoration. It doubled its high estimate of $15,000, realizing $37,500, including buyer’s premium. 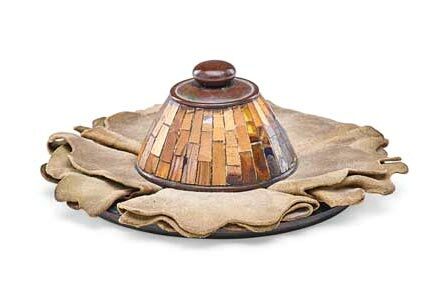 Another Tiffany Studios’ rarity, a mosaic inkwell with original chamois, also did well. Estimated to sell for $7,000 – $10,000, it realized $26,250, including buyer’s premium. Lot #797, a monumental Gallé red poppy vase, led the group of 19 French cameo vases and lamps. 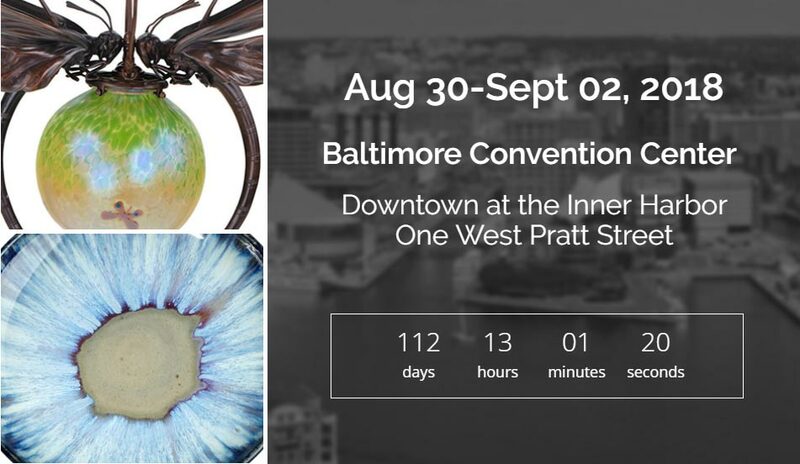 It sold near its high estimate of $10,000, realizing $11,250, including buyer’s premium. Although this would seem to be a good result, the estimate was very low, so it’s not as good as it seems. My opinion is that the vase should have a retail price of $20,000.